Ibiza and Formentera’s waters are home to two highly-threatened species of seahorses – the Hippocampus hippocampus and Hippocampus guttulatus. Both species are included on the Red List of Threatened Species of the IUCN and the Balearic Government’s Llista Vermella dels Peixos de les Balears. To help the population recover, we provided a €10,000 grant to a project led by Vellmari Association to breed seahorses in captivity. The work will also improve our knowledge about the life of and threats to our iconic seahorse species. 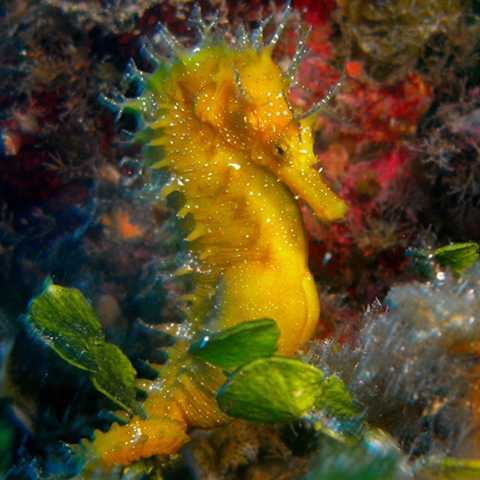 Although the reasons for the seahorses’ population decline are uncertain, their survival is linked to the preservation of Posidonia meadows.